XXYYXX (Florida,USA) w/ Modo, Water Graves (Live), Zehnmee, Clunk. Perth show! Landing in Australia on a wave of global acclaim, Marcel Everett has seen the toughest critics liken his sound to the amazing James Blake, LA's Shlohmo, Toro Y Moi, and Washed Out. 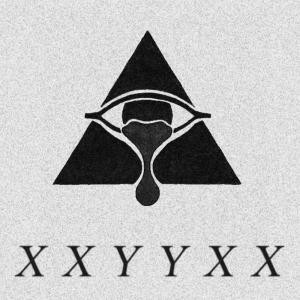 This Florida based teenager under the moniker XXYYXX released his first record at age 17, the lead single of which sits at 6 million views on YouTube and has resonated around the world with a new generation of electronic music lovers. Plucking clues out of every fertile corner of computer music, from experimental lo-fi & chillwave, to the meticulously orchestrated dub mechanics of the UK's finest, alongside countless hours locked away in his bedroom, sprung a hypnotic whirlpool of a live show, & truly one of the most exciting young talents in the world of electronic music. Preferring to let the music speak for itself he's only once found the words to describe his sound..
"Doing drugs on a freeway... underwater". As far back as he can remember, you'd catch XXYYXX vibing through the Orlando Summer, with a vast collection of Cassettes and WAX exploring the hyper-colour fizz of UK electronica, cloudy Hip Hop & the crimson and purple sounds of old school R&B. See you down the stairs for one of the most exciting young talents in electronic music right now. No more messing around with the sound in Gilkisons. We're bringing in a NEW system. Expect Hi-Fi sound, and heart squeezing SUB. Tickets available 6pm on Feb 18th. As always, cheap tickets for early adopters. Also, you pronounce mans name like "why" or "y"... just so you don't make a fool of yourself at a party or something.